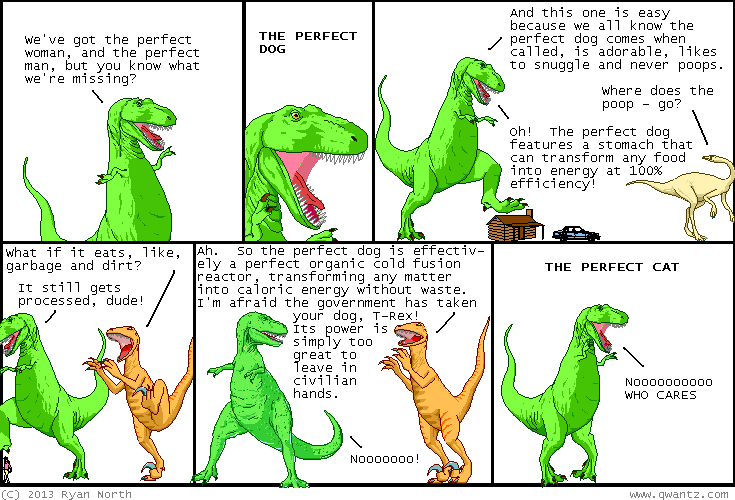 Dinosaur Comics - January 14th, 2013 - awesome fun times! January 14th, 2013: Hooray for comics! One year ago today: Is it a good idea that players only love you when they're playing? Let us know in the comments!